This is just a quick update. The technoevangelist, Fee Plumley, is running a Pozible campaign to fund her Really Big Roadrip bus. Fee wants to be able to buy a bus and deck it out with all sorts of awesome technology and then tour Australia sharing digital culture, working with artists, collaborating on all sorts of interesting projects and sharing technology with everyone. There’s only a couple of days to go and every dollar counts, so head on over to her Pozible page and kick in what you can. Fee has jsut recently starting knitting, which warms my heart. I offered to teach Fee how to knit her logo, http://topmednorx.com which is the image in this post. Fee is now ready to take up the challenge. So we’ll be doing this in the digital public realm, on Fee’s Facebook page, here. We’d love you to come join us and Knit Along with Fee n’ me. Here is my version of Fee’s logo, which is what we’ll be knitting. 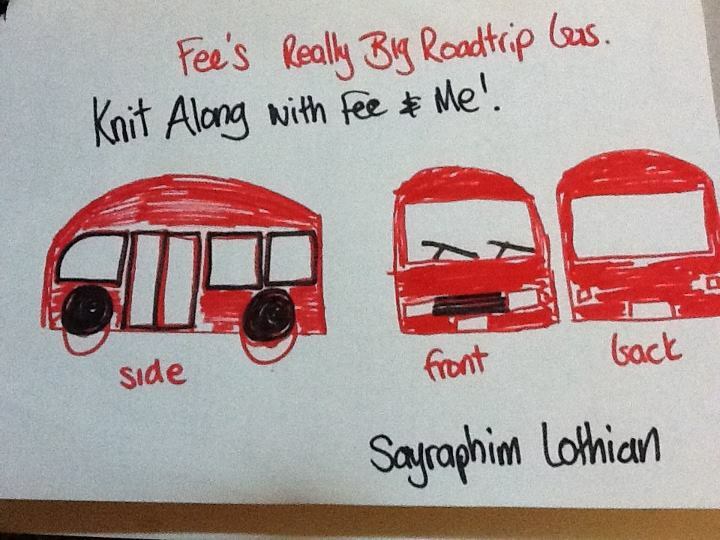 You’ll need red, black and white yarn (if you’re knitting the bus in Fee’s colours) and some 2cm knitting needles. First part will be up tomorrow, so make yourself a cuppa and Knit Along!